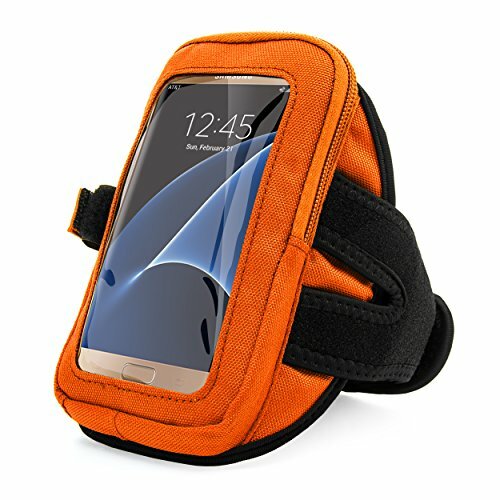 Rubber stripping inside prevents phone from sliding around and make this Armband perfect fit for most popular cellphone up to 6 inch. *Constructed with durable nylon and neoprene which will allow you to use it in the next days without worrying the armband gets aged. *And lightweight soft neoprene could protects your luxury phone from bumps and scratches,but the armband will not stretch out of shape. *This armband is washable with gentle soap and water, then air dry. Can keep sweat away from your phone and armband stay new. +Exercise your right to a case is also a Sports Armband. Stays put while you run. Touch screen works through the clear cover! +Great while Running, Jogging, Walking, Biking, Exercising, Workout, Traveling, Reading, Cooking, Cleaning, Gardening, Fishing or engaged in house chores. +Great for busy parents too. Built-in hidden holder to help you minimize carrying extra things when hitting the gym! Inside pocket perfect for holding cards, keys, money ,loose paper etc. Removable hook-and-look strap to make length small enough to fit smaller arms or even bigger.Fits nearly every sized arm. If you in the market for a Armband but are on the fence,VanGoddy Zipper Armband would be your best choise! New!Constructed with durable nylon and neoprene. Dual zippered system ensures phone never falls out,and Rubber stripping inside prevents phone from sliding around. Headphone cord slot on bottom of armband lets you listen to music while keeping your phone secure.And Velcro flap perfect for wrapping excess headphone cord around. Adjustable velcro strap fits nearly every sized arm.